I wouldn't describe myself as a particularly sentimental guy. 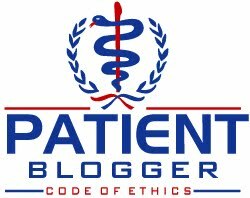 However, there's an awesome initiative now underway that benefits the International Diabetes Federation's "Life for a Child" program and its nonprofit partner "Insulin for Life" (I covered both back in 2008, catch my post HERE for details) which I would encourage my readers to support this Valentines Day. The idea is to take the typical "dozen roses," which are so popular on Valentine's Day, and save just one rose to spare the life of a child. "Spare a Rose, Save a Child" is simple: Buy 1 less rose this Valentine's Day and share the value of that flower with a child with diabetes in the developing world. Your loved one at home still gets flowers and you both show some love to someone across the world who needs it. All you need to do is make a donation by visiting the IDF's Life for a Child website. We've created a short link you can visit at http://bit.ly/SpareRoseSaveChild. The reason this is such a huge issue is because if you live in North America, Europe, Japan, Australia/New Zealand or even most South American countries like Brazil, Argentina, Uruguay and Chile, and you have type 1 diabetes, you're alive because you were lucky enough to have been born in the right location where you have ready access to life-saving insulin and you can probably afford it, too. But many children born in other parts of the world aren't as fortunate. While some parts of the world (notably sub-Saharan Africa which not only lacks the funds for this lifesaving hormone, but beyond that, distributing insulin is limited by a lack of basic infrastructure such as roads. In other parts of the world, although the infrastructure exists, the cost is simply out-of-reach. On the latter point, we can blame the diabetes industrial complex for its pursuit of profit above all else, and their admitted goal of replacing non-patented first generation insulins with so-called "modern insulins" which cost more than twice as much. Progress has been made, and its really a function of the developing world moving to sell its own products in the parts of the world it knows best. Companies like Argentina's Laboratorios Beta, India's Biocon and Wockhardt, and Poland's Polfa Tarchomin (which first began making insulin in 1923) and rival Bioton, which has grown mainly by expanding into Russia, Ukraine and elsewhere in the former Soviet Union, plus India, Israel and having operations further afield in the Pacific region, notably in Australia, Singapore and China. However, as I wrote previously (see HERE), Bioton has substantial debt, so its growth prospects are likely to be limited until the company can de-leverage itself somewhat. There are a few others, notably China has 2 insulin manufacturers of its own (specifically Wanbang Biopharma and one whose name escapes me right now), although China is a regulatory free-for-all there, meaning Chinese consumers can't be 100% certain the product they're buying is really insulin or just plain water, as the case of deadly infant formula in that market a few years ago proves. Consumers with the means are buying insulin from Western joint ventures to ensure they aren't buying water in a bottle that's marketed as insulin. The companies based in the developing world are selling lower-cost first generation insulins in parts of the world where Novo Nordisk, Lilly and Sanofi aren't really targeting. I suspect they will succeed because their goal is to serve the markets they know far better than the big 3 know. However, we've seen how the big manufacturers have responded. For example, Novo Nordisk acquired Brazil's Biobras back in 2002, and has subsequently been pursuing its strategy of discontinuing older insulin varieties that sell for lower prices with higher-margin products. They won't get their hands on Argentina's Laboratorios Beta because the Argentinian government won't allow it. They saw what happened when the local currency collapsed and Lilly did nothing about it, so they've made it a priority to protect their indigenous company from global giants walking in an snapping the company up. My partner is originally from Manila, which is a fast-growing city in the Philippines which has most of what you can find here in the West, including a number of Starbucks locations which his nieces patronize pretty regularly, although the locations aren't as ubiquitous so its more of a treat rather than a daily occurance as it is in the U.S. for many of us. Niece Jorene will be getting an iPhone 5 in about 2 weeks (hopefully she doesn't read this blog regularly! ), which compares to the 4s that Jojo has. They're pretty lucky to live in Metro Manila, but for kids that live in less developed islands of that country, things aren't so easy. They lack the money to buy insulin, so it's hit or miss as to whether the family can even afford it. 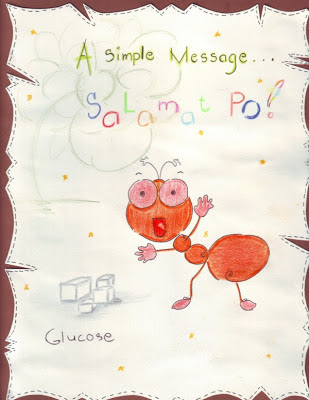 Even though I'm not sentimental, I absolutely melted when I saw that ("Salamat Po" is Tagalog for "Thank you", although you also see the word glucose and a simple message, and the reason is because the kids in the Philippines are taught in English, which explains why Filipino call centers like the one Jorene manages have done so well). But other parts of the country are very much like where the most recent season of Survivor (in which Blair Warner, errr I should say Lisa Whelchel recently competed). These are remote islands, and share little in common with the bustling city of Manila. The families struggle on very little income. Some Filipinos are writing news stories for American newspapers which they're paid pennies for (check out this NPR news story at http://tal.fm/468/2 for more). A U.S. company known as Journatic placed an ad seeking Filipino writers offered them $0.35 to $0.40 per story, and slightly more for longer stuff, but they complain they don't make enough for their work. It doesn't take a rocket scientist to figure out that they cannot easily afford a vial of insulin at $70 each. But when its all said and done, these are adorable little children, and the Life for a Child/Insulin for Life program saves their lives. The next time you check your blood sugar, dose your insulin, or see someone you love doing one of these things, you'll know that you helped save a child like the one above by "sparing a rose". Help spread the word about Spare a Rose, Save a Child on Facebook, Twitter (use #sparearose) or your blog if you have one. Please spread the word about this initiative, for more background, read Kerri Sparling's post for details! Thanks for sharing more of your story, Scott, and for helping to spread the word. I agree with what Scott J said! Thanks for sharing!